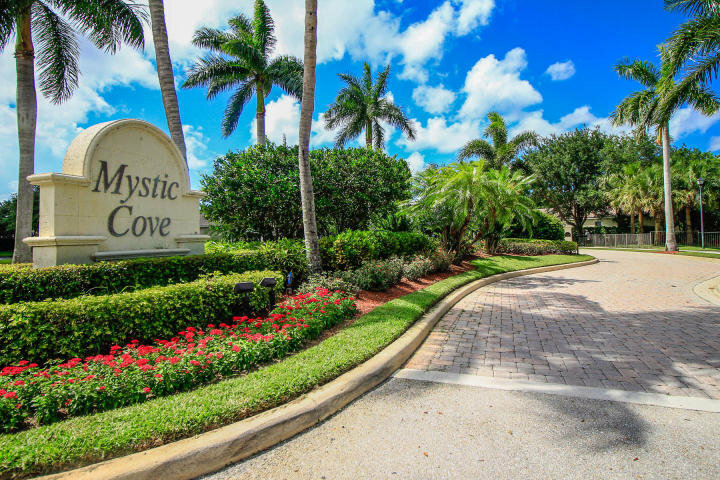 Mystic Cove is a small gated community with low HOA fees and a quiet location. The 40 single-family homes were built by Ecclestone between 1999 and 2002 with a Mediterranean flare. Homes are spacious and range in size from 3,000 to 5,000 square feet of living space and four to six bedrooms. Mystic Cove offers lake views, basketball courts and a gated entrance. Residents have easy access to I-95, the Turnpike, golfing, beaches and many dining and shopping options. Mystic Cove is zoned for A rated schools.